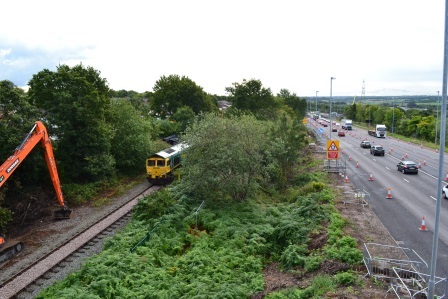 Contractors "Murphy" are clearing undergrowth and laying drainage pipes on the north side of the line parallel with the Runcorn Express Way. The work site can be seen form the footbridge over the Expressway. 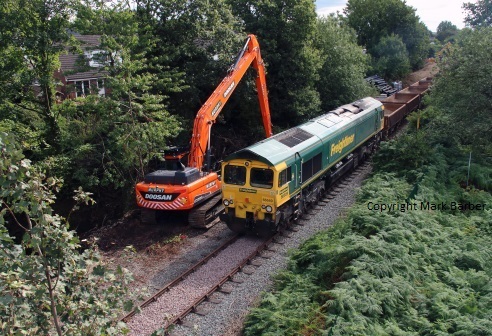 Our Member, Will Ellams, spotted a Class 66 heading on to the curve at 7.15 am on Tuesday the 1st September. 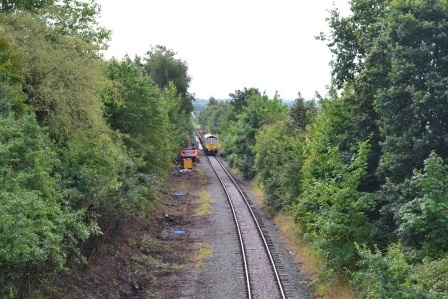 This, after investigation, was found to be a ballast train working from Basford Hall (Crewe) to Frodsham Junction. The train returned empty to Crewe via Ditton. 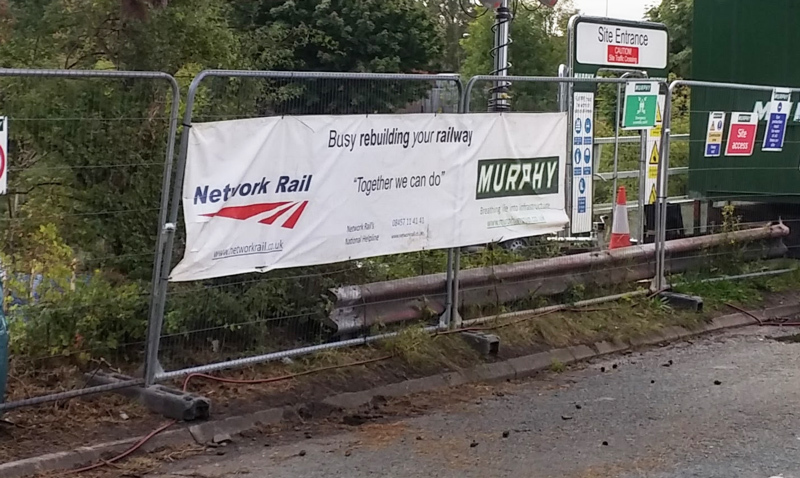 Further workings occurred on the 2nd and 3rd September with another next week. Two excavators are also working on site. This is really good news, in that major infrastructure working is occurring, ahead of work to reopen the line for regular bi-directional passenger trains and does show that their is serious intent to proceed at all levels of the railway management.